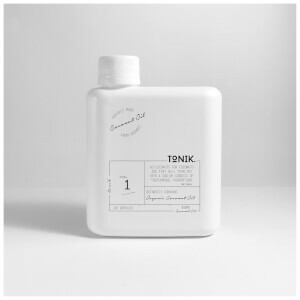 Formulated from organic and natural ingredients with no harsh chemicals, TONIK is a range of supplements that will help you glow, both inside and out--after all, you can't have outer beauty without inner beauty first. If you've ever longed for dewy, radiant skin that's free of blemishes and totally balanced, TONIK will be your new saviour. Want to balance out digestion and feel full of energy? How about luscious hair and nails? Yep, TONIK's got you. After all, we look after our 'surface' with routines like good skincare and regular salon visits, but it's also been proven that physical health factors such as diet, sleep and exercise can drastically impact your appearance. By popping one of TONIK's magical pills (we promise they're not sketchy) you're sure to glow so hard you'll have people wondering what's in the water, and where they can get some! The multitude of effects these unique little supplements have is absolutely unmatched. TONIK comes in the form of coated capsules that are easy to swallow and digest. There are two variations--Apple Cider Vinegar and Coconut Oil. Both of these ingredients have been shown to have a ton of health benefits, but can often prove pretty hard to down, especially because they taste questionable...but not TONIK! The capsule form makes them easy to take--just throw one down every evening and watch as results begin to show after just a few weeks. 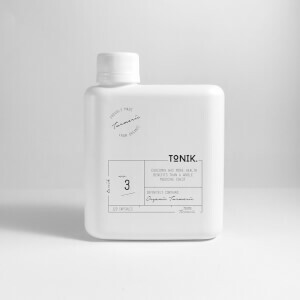 TONIK's recommended dose is 1-2 per day with your evening wine (because they're cool like that, and understand that wine makes everything better). So what actually are the benefits of taking these babies daily? Well, let's start off with the (oft-dreaded) apple cider vinegar. Ever since Gwyneth Goop'd the goodness out of apple cider vinegar it's risen the ranks of the beauty world, making a name for itself as a mythical cure-all that we're admittedly still a bit in awe of. It'll do some incredible things for your body, including purifying the skin, lowering cholesterol, suppressing your appetite, killing bad bacteria and clearing up your sinuses! Want good hair? Coconut oil. Brighter skin? Coconut oil. Boyfriend dumped you? You guessed it, coconut oil. Okay, we may be kidding with that last one, but it's pretty well established that coconut oil is a miracle product that will legitimately solve all of your problems. The TONIK Coconut Oil capsules have so many benefits that we're gonna need a few extra digits to keep track of them. They'll help with weight management, building muscle tone, inflammation and arthritis, hormone balance, gum disease prevention and tons more. It's pretty clear that TONIK is a risk-free kind of investment you should make for the sake of your health. After all, it's no good looking after your outsides and completely ignoring the effect internal processes can have on your glow! We want you looking radiant and feeling so pumped up you'll want to take on the world--and then some.